Using smart and functional materials in textile applications has gained much more importance over the last decade in order to provide and improve some specific end product properties. In the present work, we designed spacer weft-knitted fabrics for the purpose of protective clothing – which has an electromagnetic shielding effect and a good thermal property – of aircraft crew. To provide two functions in one fabric, spacer weft-knitted fabrics composed of inherently thermally perfect wool and electrically conductive silver-plated nylon yarns were developed initially. The application of temperature-responsive polymer (TRP) and phase change material (PCM) onto these fabrics was then performed in order to enhance their thermal properties. The structural characterizations and thermal analyses performed showed that the developed fabrics demonstrated not only much better electromagnetic shielding effect but also improved thermal performance than ordinary clothing as underwear. We thank Yünsa A.Ş for their support providing worsted wool yarns. Matthiä, D., Schaefer, M., & Meier, M. M. (2015). 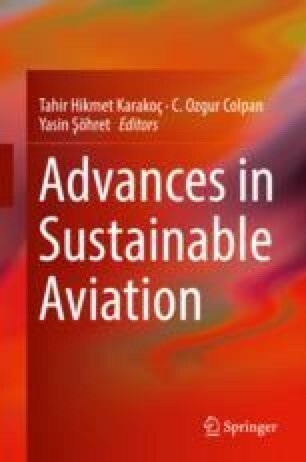 Economic impact and effectiveness of radiation protection measures in aviation during a ground level enhancement. Journal Space Weather Space Climate, 5(A17), 6. http://www.swsc-journal.org/articles/swsc/pdf/2015/01/swsc140044.pdf. Accessed August 2016. Koops, L., Sizmann, A. (2014). Relevance of cosmic radiation exposure for hypersonic flight. Deutscher Luft- und Raumfahrtkongress, Document ID: 340206, http://www.dglr.de/publikationen/2015/340206.pdf. Accessed August 2016. Statex Products. http://statex.de/index.php/en/shieldex-2/produkte/. Accessed 19 Aug 2016. Sánchez, M. T., Pariente, J. P., Alvarez, C. M. (2008). Dynamics of PEO-PPO-PEO block copolymer aggregation and silicate mesophase formation monitored by time resolved ATR-FTIR spectroscopy. Studies in Surface Science and Catalysis 174: 333–336., https://doi.org/10.1016/S0167-2991(08)80210-8. Accessed 19 Aug 2016.